Dr Kate Gooch joined the Law School in January 2017, having previously worked at the University of Birmingham. Her primary research and teaching interests lie in the areas of Criminal Law, Child Law (including Youth Justice) and Criminology (particularly prisons research). Building on her doctoral research on young people in penal custody, she has continued to undertake ethnographic research in prisons, focusing on issues such as physical restraint, self-harm, self-inflicted deaths and prison violence, as well as focusing on aspects of the legal process concerning children, such as the interrogation and detention of child suspects in the police station. In addition to publishing extensively on these issues, Dr Kate Gooch has given evidence to the Justice Committee as part of their inquiry into the treatment of young adults in the criminal justice system and presented her research to HM Inspectorate of Prisons, the Youth Justice Board and the, then, National Offender Management Service (now HM Prisons and Probation Service). 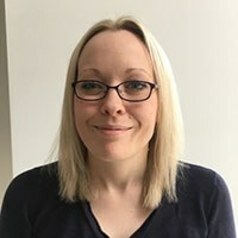 With funding from the ESRC Impact Acceleration Account, she is currently engaged in two large ethnographic projects, the first focusing on prison violence and the second on the opening of a new large and rehabilitative prison, producing a series of thematic reports for policy and practice.